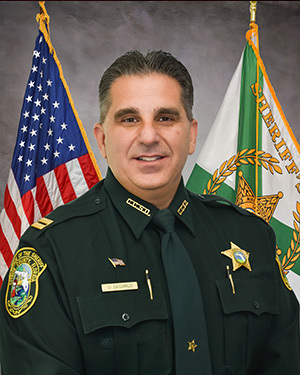 The Citrus County Sheriff's Office PSAP or Public Safety Answering Point handles all 9-1-1 calls within Citrus County’s jurisdictional boundaries including the incorporated cities of Crystal River and Inverness. Whether you need Police or Medical, we are a consolidated center handling all emergency services. In 2017, the 9-1-1 center handled 88,144 9-1-1 calls. 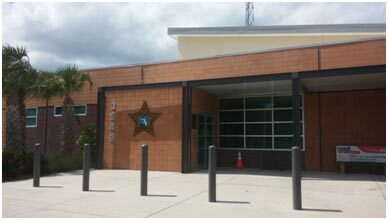 The Communications Center is staffed 24 hours a day, 7 days a week and is located in Lecanto at the Emergency Operations Center. Our trained and dedicated staff is certified in Medical and Police Dispatch through the International Academies of Emergency Dispatch (IAED) and must maintain proficiency throughout their certification cycle. 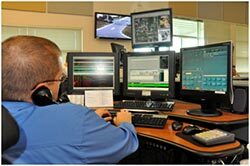 Our 9-1-1 center is also accredited through the IAED and the Commission on Law Enforcement Accreditation (CALEA). 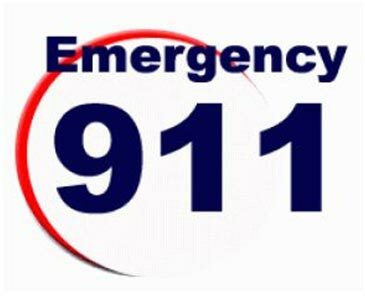 We hope you find this guide useful in learning about 9-1-1 and how to use it services. Calls to 9-1-1 are free and can be made using conventional telephone or cellular phone. Most conventional phones provide the 9-1-1 center with an exact location or address of the caller. Cell phones, unlike conventional phones, will not provide an exact address. They provide GPS coordinates which can vary on accuracy of your location based on your distance from a cell tower, interference, etc. So when using a cell phone, it is important to have a good idea of your location in case you need help and the 9-1-1 operator can't pinpoint where you are. Calls to 9-1-1 are for immediate need for police or medical assistance. It should not be called for general questions. However, if in doubt, call 9-1-1. If you have a general question, you should call 352-726-1121. You should remain calm. The communications officer needs specific information from you and there may be lots of questions asked. Often people don’t understand why we ask so many questions. We do it to gather all pertinent information so we may send the proper help to you. Also, by asking a prescripted set of questions, we don’t miss anything. We know that it can be frustrating to answer lots of questions but it is important. Never hang up until told to do so by the 9-1-1 operator. Don’t let children play with old cell phones – they may still be able to dial 9-1-1, even without service. Memorize important details about you and your family in case it is needed. Try not be too frightened – remain as calm as you can. Never make or allow someone to make false calls. It is a crime. Teach your children early how to use 9-1-1. They need to know their name, address, phone number and ways to reach you. Can I call 9-1-1 if I am deaf? Citrus County 9-1-1 is equipped with TDD / TTY machines and can communicate with you as long as you have a device at your calling location that can do so. Our communications staff is trained in how to use them and will ask you questions to determine what emergency assistance you may need. Should I get rid of my landline phone? Some people have opted to just drop their landline or conventional phone in lieu of a cell phone. This is a personal decision but there is a possible situation that you should be aware of. If you live in an apartment or in a complex where you have many residents around you and you call 9-1-1 from a cell phone, it may be difficult to determine which residence you live in based on cell phone accuracy. What if you can’t speak and can’t give an apartment number? Just something to consider! Another thing to think about. All of the infrastructure for landline phones are below ground. This design is more resilient during severe weather or other disasters. Cell towers are more vulnerable to failure. Also, if you are using a Voice Over IP (VOIP) phone, depending on the carrier, they don’t always register your location either. Can I text 9-1-1 in Citrus County? Not yet. Some jurisdictions throughout the nation are implementing this type of technology. 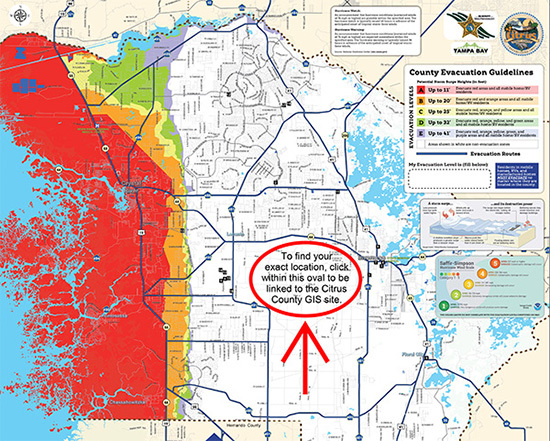 Citrus County is evaluating this method but at this time you can only make regular calls to 9-1-1. Is 9-1-1 a free call? Yes. There is no charge for calling 9-1-1. Do I have to call someone at the 9-1-1 center to let them know I moved to a new house and have a landline phone? No, when you set up phone service, the phone company automatically updates that information. If I don’t have phone service at home but have a landline phone plugged in, can I call 9-1-1? Maybe! Sometimes it will work and sometime it will not, depending how long the service was disconnected and other factors. It is not to be relied on. My cell phone is from out of state. If I called 9-1-1, would it ring to my home state? No. This is a big misconception. Cell phones work by connecting to the closest cell tower to where your phone is located. Calling 9-1-1 in Citrus County takes you to Citrus County 9-1-1.